Downtown New Haven is famous for its classic and eclectic bars. 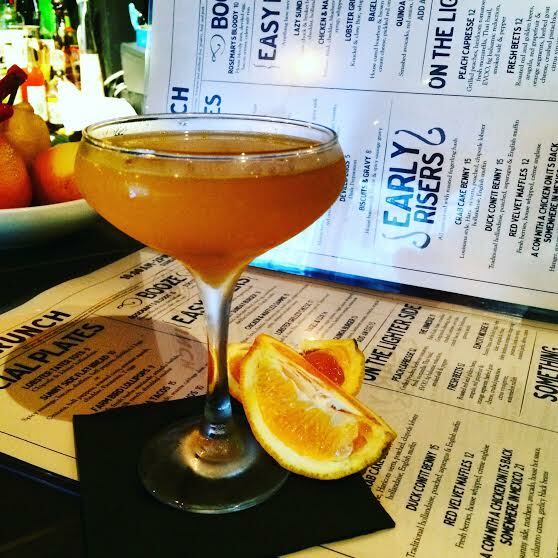 However, if you’re looking for a diverse selection of quality cocktails, check out Elm City Social, the new bar/restaurant on 266 College Street. 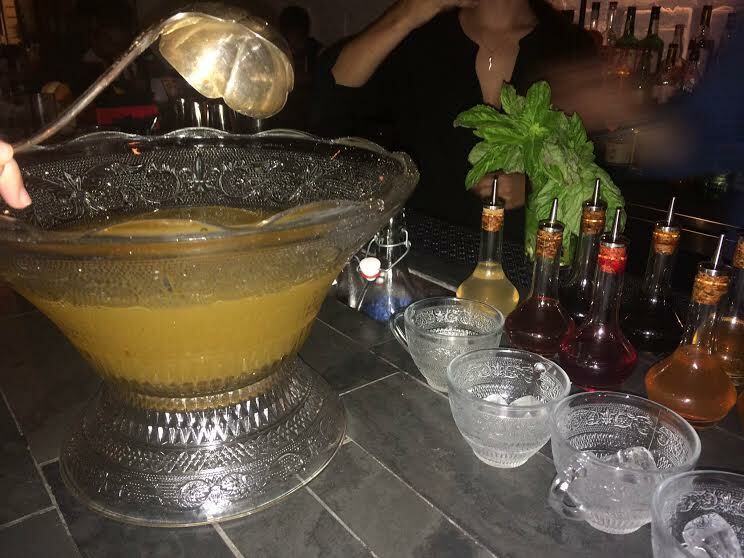 All cocktails are made from juice that is freshly squeezed, not packaged. 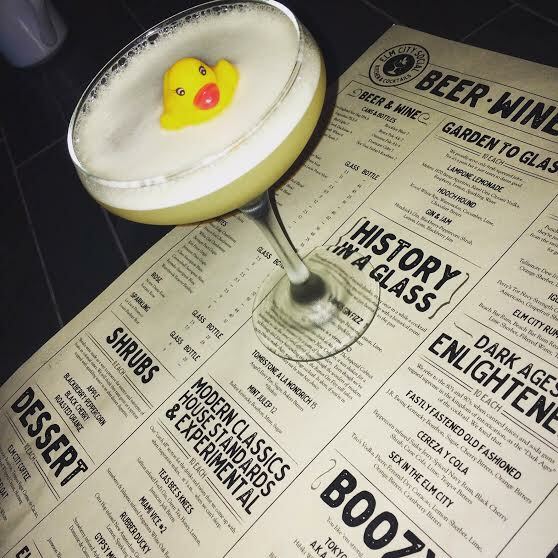 So, get out of your usual rut this weekend and impress your friends with drinks like Rubber Ducky or Miami Vice #2! Rubber Ducky you’re the one! Citrahops infused gin, grapefruit, basil, lemon and sparkling water. Get in on the shakedown! This drink takes so long to shake you just may get in on the action! Old tom gin, orange blossom. lemon, lime, cream, egg white and sparkling water. Punch Intended! Get the whole crew in on this! Perry’s tot navy strength gin, pierre ferrand dry curaçao, orange sherbet, lemon sherbet, tiki bitters and nutmeg. Honestly, does anything else even need to be said? Did someone say breakfast in a glass? A little deviled egg and candy bacon never hurt anyone. 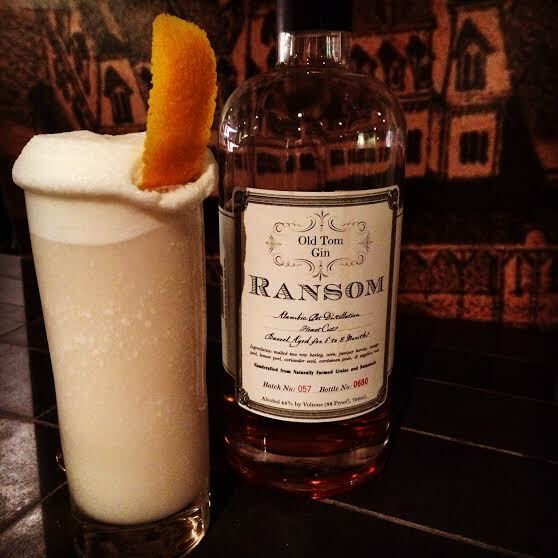 This isn’t your ordinary daiquiri! Strawberry & Jalapeño infused rum, lime and sugar. They stole me lucky charms! 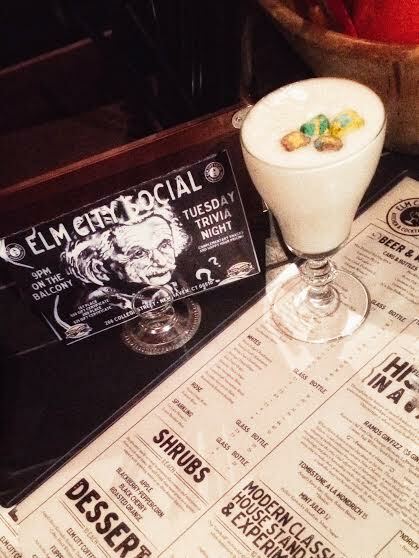 Enjoy booze and dessert at the same time with beer barrel bourbon, kelt VSOP cognac, cereal milk, and lucky charms. 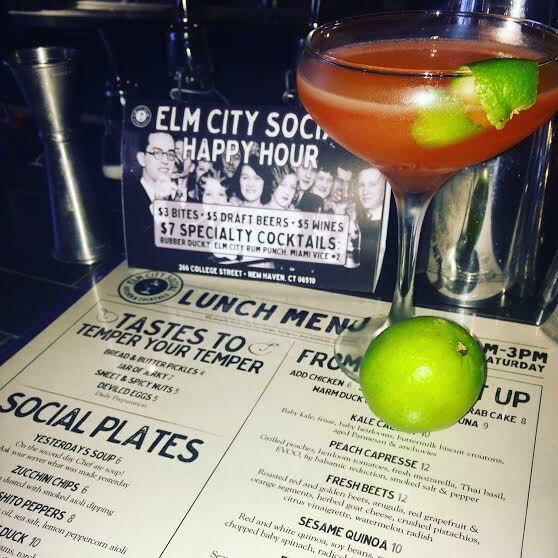 To learn more about Elm City Social, check out their website here. Their late night menu is every Monday to Thursday from 10pm to 12am and every Friday to Saturday from 11pm to 1 am. 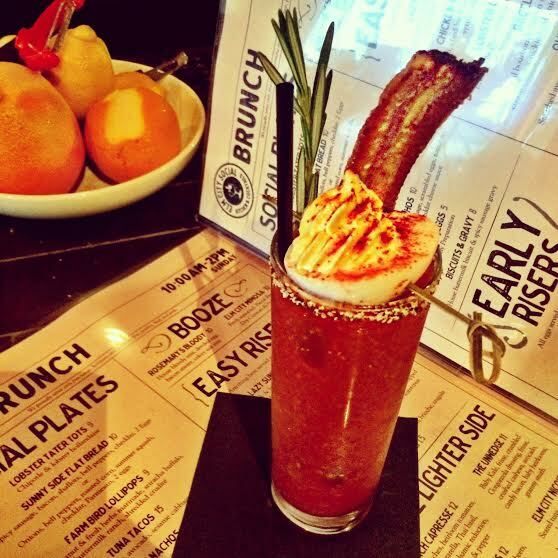 Brunch is every Sunday from 10am – 2pm. What kind of cocktails are your favorite? What else would you like to see on this list? Share in the comments below!